BJP chief also said fugitive jeweller Nirav Modi and liquor baron Vijay Mallya were given loans during the days of the previous Congress-led UPA government. JAIPUR : With the war of words between the ruling Bharatiya Janata Party (BJP) and the Congress intensifying each day in the run up to the December 7 Assembly polls, BJP chief Amit Shah on Friday lashed out at the Congress saying the decisions that led to a build up of Non Performing Assets (NPAs) in the country were all taken during the erstwhile United Progressive Alliance regime. Shah added that businessmen like Vijay Mallya and Nirav Modi were fleeing the country now because they were scared of persecution. He claimed that these men were “safe” during UPA rule and therefore carried out their dealings. 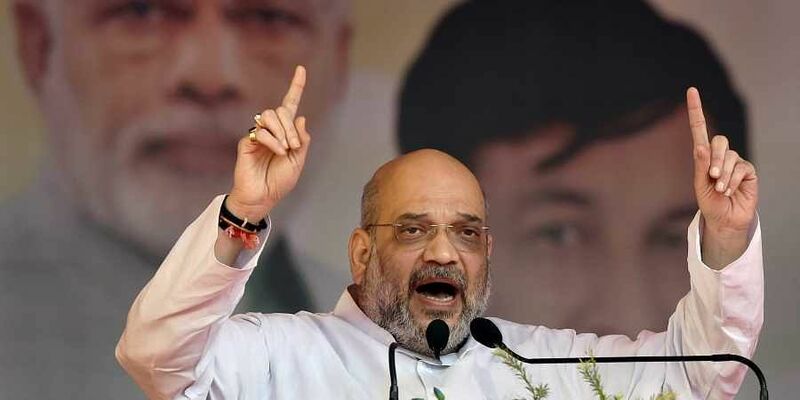 Shah also mounted an attack on Congress state president Sachin Pilot saying he had no right to questions the Modi government’s work for Rajasthan. “Sachin Pilot asks what the Modi government has done for Rajasthan? He should look at the figures, when the UPA government was at the centre. Rajasthan got Rs 1.90 lakh crore from the 13th Finance Commission which was sanctioned by the UPA government. But Modi ji gave the state Rs 2.60 lakh crore in the 14th Finance Commission. We have given two-and-a-half times the money for Rajasthan’s development...” Shah said. The Congress refuted Shah’s allegations and claimed that the saffron party was running out of electoral capital in the state.